What a great little secret this is! If you like the seclusion of the trees and nature... if you like the sound of the birds in the sun... if you value your peace and privacy... and if you want a self contained flat to accommodate extended family, help pay the mortgage, for guest accommodation... all in a location offering easy access to transport routes and both Lower Hutt and Wellington cities... then you've got to check out 8 Jenness Grove. Jenness grove is a lovely safe cul-de-sac, and this traditional home & income comes complete with a fabulous garden playground for the kids. The home is perfectly suitable to move right in "as is", whilst there is also plenty of scope to add value and make it your own, through simple cosmetic renovations. With multiple living areas, multiple outdoor spaces and the major bonus of a self contained flat, the options here are plentiful. 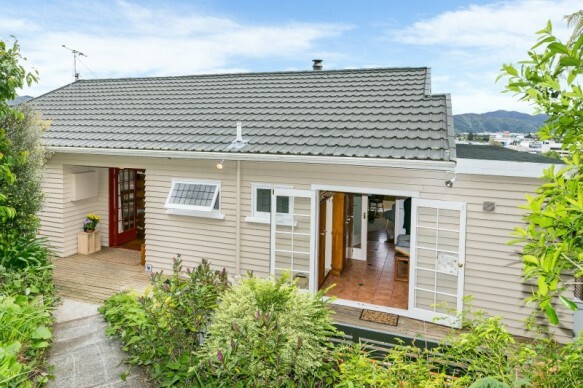 Our vendors have loved living here, but the Kapiti Coast is calling, so now it's your turn... come check it out and get ready to start creating your family memories.